Ella Jayne Home is the very best in luxurious utility bedding, designed with the domesticated sophisticate in mind. 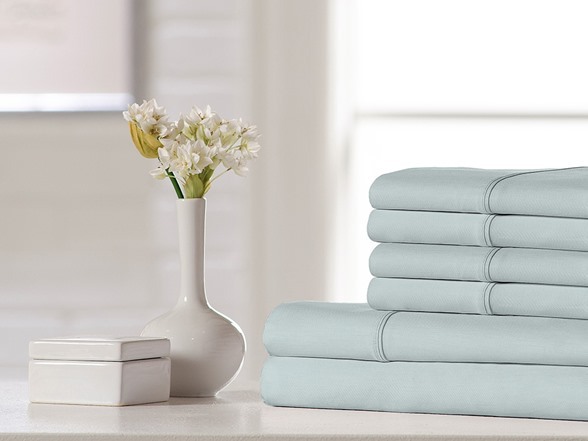 This 600 thread count sheet set is wonderfully smooth and soft to the touch. Select from 6 lustrous colors to add a charming elegance to your bedroom decor. Made with 100% premium sateen cotton. Care Instructions: Machine wash warm, with like colors, gentle cycle. Do not bleach. Tumble dry low. Remove promptly.